this book could be a lifesaver. How can you pay less on your taxes? Be proactive and start tax planning instead of tax filing. If you plan ahead, you can use the tax code to your advantage to reduce your taxes. Take the plunge and discover the loopholes, deductions, and credits that only the savviest tax planners know about. With a little planning, you can transform ordinary spending into tax savings. This book includes up-to-the-minute information on the most recent tax reforms. Find out how to keep your head above water with the new tax rulings. If you want to save on your taxes, dive right in. $15,000. That’s the average amount businesses overpay on their taxes every year. Learn how to put deductions, writeoffs, and loopholes to use for you. Take advantage of the insights from America’s Best Tax Coaches and watch your taxes plunge. Find the best tax pro for you. Each professional brings a different expertise. Learn how to find the tax professional that’s best for you without having to hire multiple consultants to do your taxes. Your best tax shelter is a business. With a flat 21% tax rate for businesses, there is no reason why you shouldn’t start a business. A business is the best possible tax shelter. Discover the best investments for tax savings. Some investments can reward you with tax advantages and tax-free income. Make sure your advisor knows how to structure your investments to deliver the greatest tax advantages. 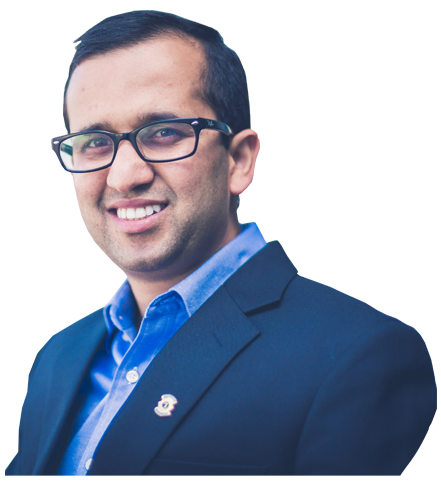 Jay Dahal, CPA, CTC, specializes in advance tax planning strategies for businesses and high net worth individuals. He is the founder of Focus Accounting & CPA Firm, with multiple locations in California. As a tax strategist for many years, Jay and his tax and engineering team have performed cost segregation studies for office buildings, restaurants, retail centers, warehouses, equipment rental, and many others. His extensive experience with the engineering team and knowledge of current legislation, regulation, revenue, rulings, IRCs, and court cases provides clients with a thorough and supportable analysis. His tax planning methods are well-documented engineering and appraisal techniques. Jay specializes in taxation for restaurant business owners and sole or multiple commercial property owners. His team is aware of the rapidly changing landscape in the real estate field and its impact on your business. His team of professionals are real estate agents who have the knowledge and experience to factor in all the variables to help grow your practice and profits from the day you open your doors to the day you retire.